Triple H will retire from in-ring competition if he loses his WrestleMania match to Batista, he revealed on this week’s Raw. 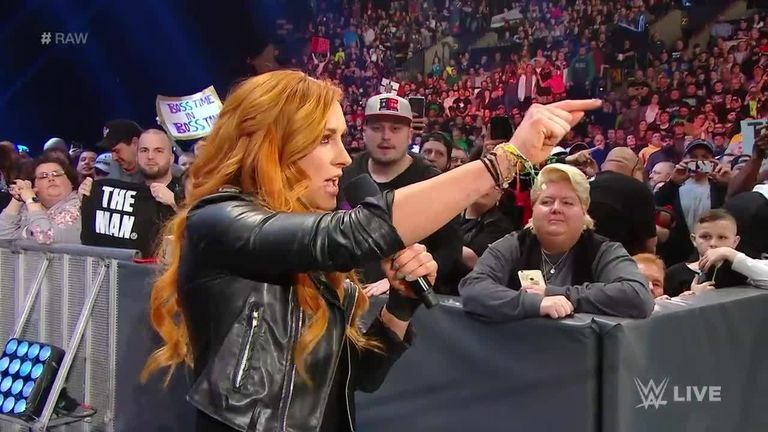 The Game was in Brooklyn with a letter from Batista’s lawyer demanding an extra stipulation being added to their one-on-one showdown on April 7 – with a nice Spice Girls reference thrown in for good measure. Batista’s request was that Triple H never return to a WWE ring if he is beaten at MetLife Stadium, a move Hunter felt was made to allow ‘Dave’ the opportunity to back out of his commitment to the match. The challenge was therefore accepted, adding another layer of intrigue to the bout – which will be staged under no holds barred rules. All three women who will be involved in the main event of WrestleManiawere on Raw, and after a verbal back-and-forth which saw some heavy boos for Ronda Rousey, she – along with Becky Lynch and Charlotte Flair – took on the members of the Riott Squad in individual ‘beat the clock’ matches to see who could record the quickest victory. Raw women’s champion Rousey was up first, and although Sarah Logan got in some offense – notably a submission attempt with a modified standing cloverleaf – the champ prevailed with a tap-out victory in 1:25. Flair could not beat Ruby Riott, getting her in a Figure Eight as the clock ran down, but Lynch did eclipse Rousey’s time, pinning Liv Morgan seven seconds quicker than her win over Logan. Next week will see the Riott Squad face the Mania main eventers in a triple tag, with the stipulation that Flair, Rousey or Lynch will lose their spot in the big match if they betray their team-mates. 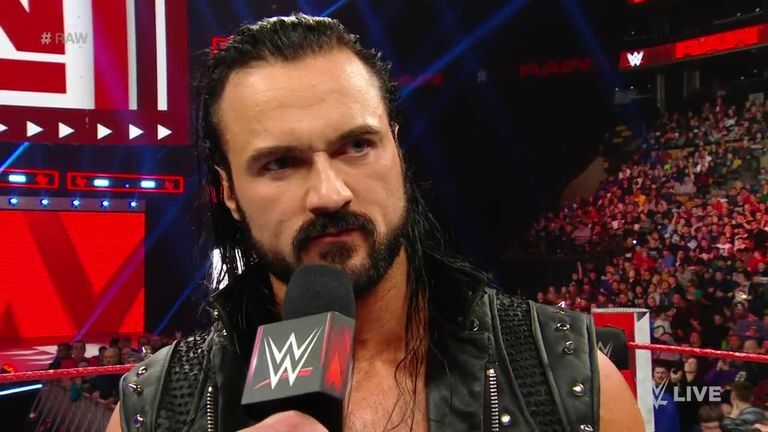 Drew McIntyre might have challenged Roman Reigns to a fight at WrestleMania – but he begged Joe Anoa’i to turn him down for the sake of his family. It appears both sides of The Big Dog seemed to accept, with the former Universal Champion sufficiently goaded by the Scottish Psychopath’s boasts of destroying The Shield, and the family man behind the vest throwing the first punch in defence of his family. To warm up for their big match, McIntyre then proceeded to indulge in yet another brutal last man standing match with Dean Ambrose. A kendo stick and a table were used in the carnage but the decisive weapon was McIntyre’s Claymore Kick.